Following the success of the recent SMME Roadshow, we take a look at how mobile networks can support SME growth in South Africa and Africa at large. 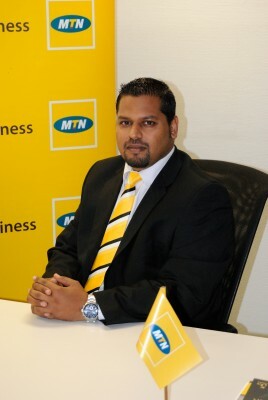 Adrian Dubru, Senior Manager: SME at MTN Business, talks to Opportunity about the role of mobile service providers such as MTN (a prize sponsor at the SMME Roadshow) in supporting SMMes in building SA's economy. 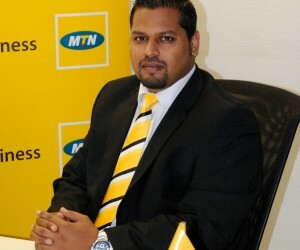 Can you tell us about MTN’s involvement in supporting SME growth in SA? At MTN, we believe that SMEs are a key element in the South African economy that can help alleviate unemployment. Our suite of products and solutions enable SMMEs to connect and grow their businesses to the rest of the world and MTN has ensured that SMMEs in our economy have access to these pivotal leading edge solutions. In addition, MTN has been involved in a number of SME value adding initiatives, which seek to support and grow this segment. Why is it important for mobile networks to get involved in SMME development in SA and across the borders? It is important for all corporates to be involved in SMME development, however, within the SMME space, mobile operators have the ability to influence and support smaller enterprises through a ranges of solutions that is a fundamental need for these businesses. How can mobile network companies contribute to the state of our economy? Mobile network companies play a critical role in helping a nation communicate with each other and the rest of the world. Through the provision of world-class infrastructure and a diverse range of connectivity solutions, mobile operators become the catalyst in driving education and increased productivity in our country. How does South Africa’s mobile networks compare to those of other African countries, particularly from an SMME perspective? South Africa leads the way from a mobile networks perspective in Africa. From an SMME perspective, our range of ICT solutions enable businesses with leading edge technologies. When it comes to SMME’s – how can an improved and seamless mobile network system benefit them? A seamless mobile network system enables SMMEs to have quality access, enabling them to be efficient in communicating with each other and their clients. In terms of Government; is there enough collaboration with the network providers? Recently there has been a number of engagements between SMEs, mobile operators and government with the objective of promoting SME growth within this sector. We have definitely seen a change in government taking a stronger and more practical approach in increasing collaboration between the various providers. MTN played a significant role in supporting the Opportunity SMME Roadshow. Why did MTN decide to get involved? MTN believes that the objectives of the SMME Opportunity Roadshow is in line with its strategy to support and grow SMMEs in South Africa. The experience at the SMME Opportunity Roadshow has been a valuable one in meeting SMMEs and positioning MTN within this space. What, in your opinion, is the importance of platforms such as the SMME Roadshow, considering South Africa’s SMME challenges? Such platforms help to elevate the importance of SMME development in South Africa. It allows SMMEs to be exposed to the development initiatives of larger companies and present them with the opportunity to become involved. What was the single biggest thing you realised from discussions at the Roadshow? There are a number of SMMEs out there that require assistance with their development and corporates have a big opportunity to help these SMMEs to grow.